The A-620 Technical Training Committee has approved release of IPC/WHMA-A-620C training programs. Certification is not revision specific. Currently certified IPC/WHMA-A-620 CITs may purchase the Revision C course materials from IPC or from your preferred A-620 IPC Authorized Training Center. The IPC/WHMA-A-620 training and certification program has two tiers of instruction. Trainers will participate in a week-long program that has 29 instructional hours. An optional eight hour hands-on course is available. Certified IPC Trainer candidates are sent by their parent companies to receive intensive training and are then certified to provide Application Specialist training. Training for the Certified IPC Specialist’s is modular and training/certification can be limited to the topics specific to an individual’s work requirements. Certified IPC Specialist training materials, including online exams and certificates, may be purchased from IPC only by Certified IPC Trainers and the companies they represent. Certified IPC Trainers may teach the course at any location and set a training fee per the current IPC Training and Certification Policies and Procedures. 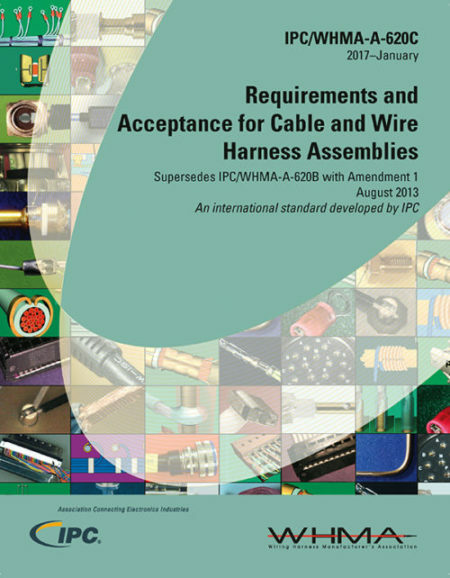 The term for an IPC/WHMA-A-620 certification is two years. Instructor certification and re-certification training is conducted primarily at IPC Authorized Training Centers but may be conducted by the training center at company facilities. 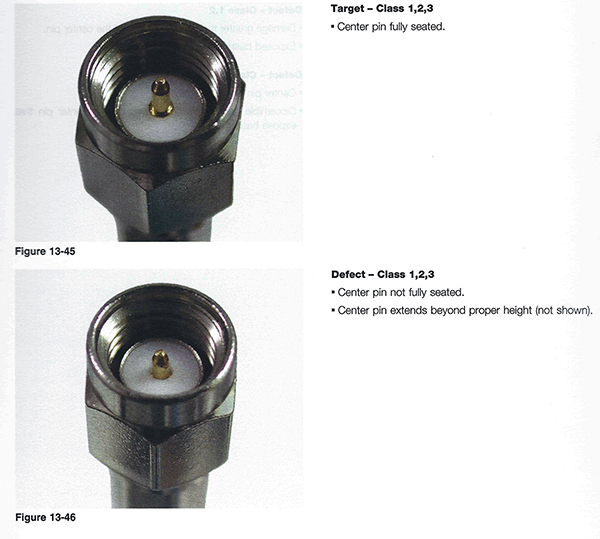 Revision “C” brings the addition of Wire Seals and Safety ties, along with an upgrade to graphics and more detailed photographs. Synergy between the JSTD and IPC 610 continues. OPTIONAL, CERTIFIED HANDS-ON TRAINING MATERIALS ARE AVAILABLE NOW! The NEW A-620C optional hands-on training has been developed to help users become familiar with the basics of cable and wire harness fabrication. The Hands-on module is optional for the CIT and CIS. If a CIT wishes to teach the hands-on projects, the CIT would need to complete the extra, 1-day course and complete all the requirements of the projects. The CIS hands-on training is modular and can be applied to the individual, modular sections of the CIS training. The CIS candidate would need to complete the lecture/discrimination module for his or her certification. Then the CIS candidate would complete only the portion of the hands-on project that applies to the learned material. To find out more information, check the IPC Certification Portal or check with the Training Centers Directly. Space addendum for 620B course materials is available! Any questions regarding training centers, certifications, including instructor certification and re-certification training please contact Janet Qu at janetqu@ipc.org.